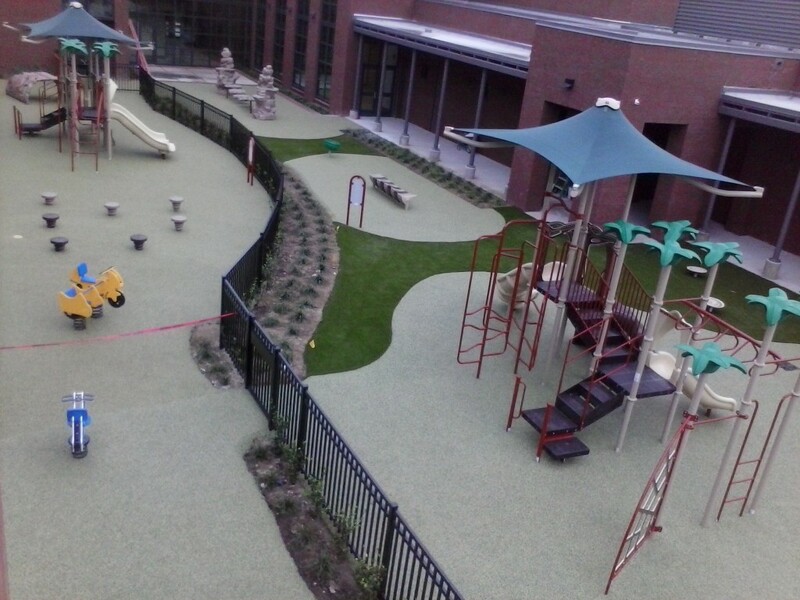 TerraSoft synthetic turf grass is a dynamic synthetic system that looks and plays like real grass with an added layer of protection. 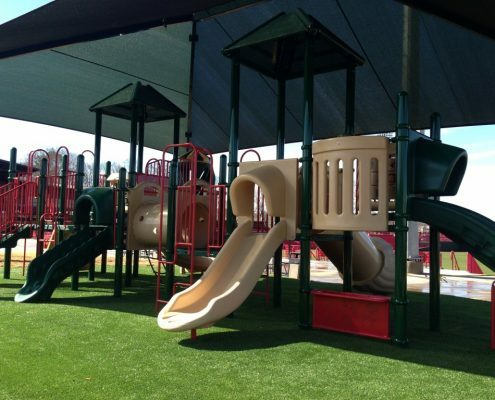 Perfect for schools, parks and other outdoor recreational areas. 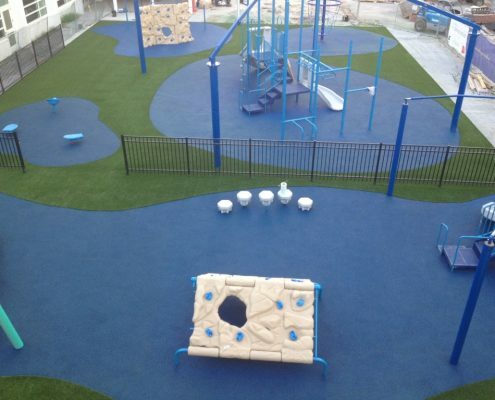 TerraSoft synthetic turf, sometimes referred to as fake grass, is the ideal choice for durability, safety and natural playing characteristics. 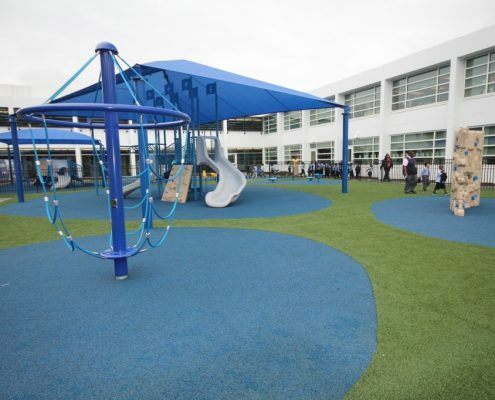 Designed with an enhanced tuft bind, synthetic turf grass withstands heavy wear and tear while also keeping the play area cooler in hotter climate conditions compared to rubber area materials. 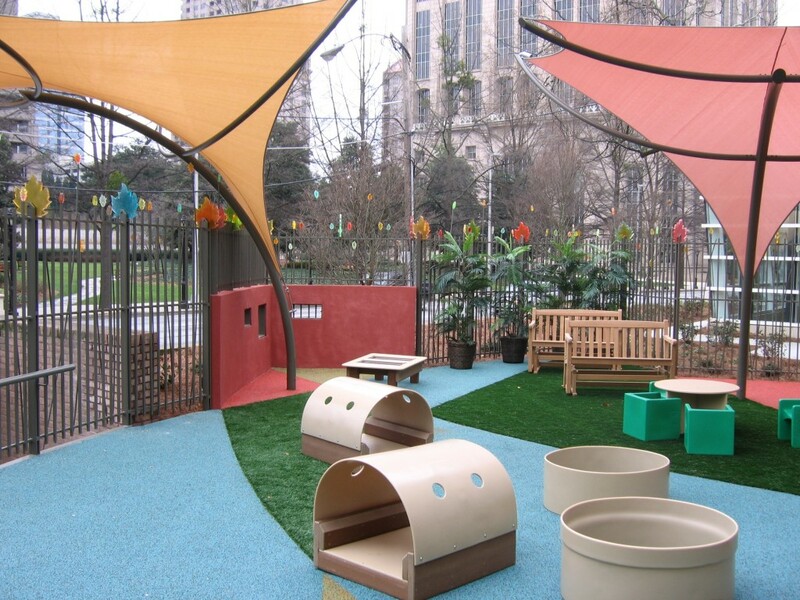 Unlike natural grass, artificial turf does not need water or costly fertilizers which can save millions of gallons of water every year. 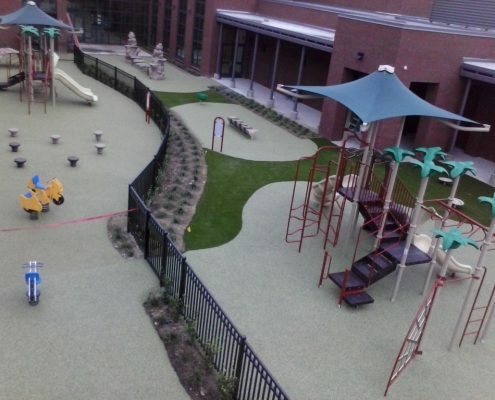 Best of all, at the end of the surface life all artificial grass components can either be reused or recycled, benefits that help contribute to U.S. Green Building Council LEED points. 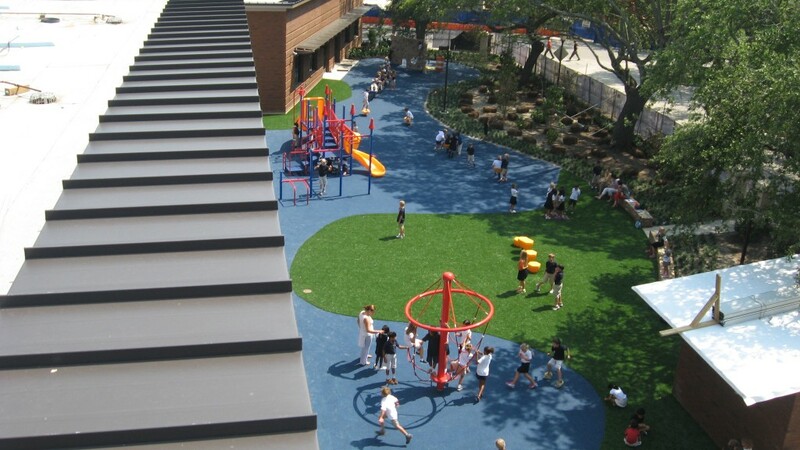 Introducing Brock PlayBase, a unique system engineered for playground surface safety. 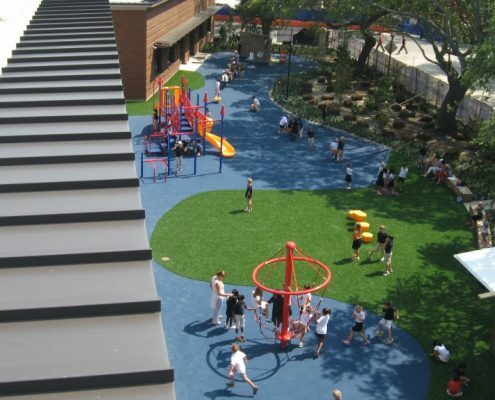 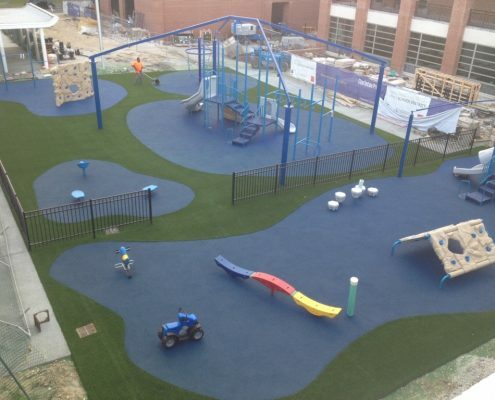 Brock PlayBase is the only complete base system that has been designed and engineered specifically for TerraSoft playground surfaces. 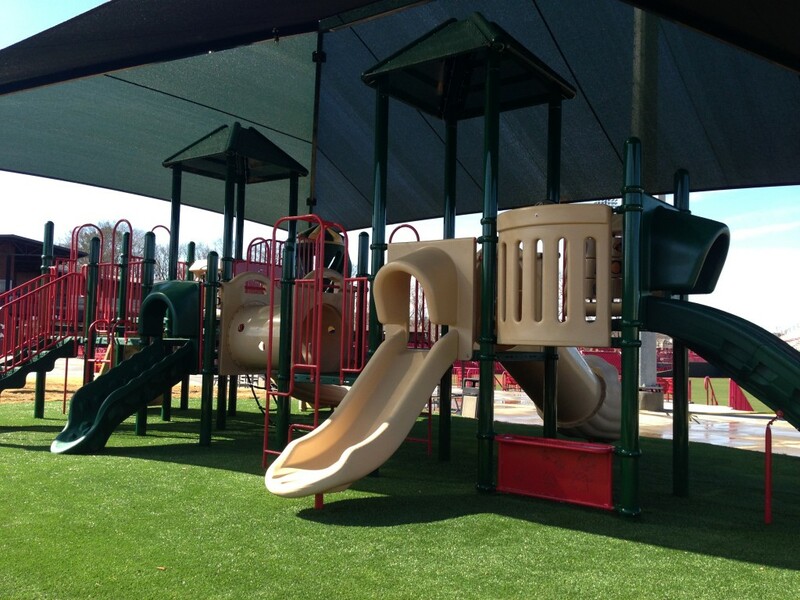 Each PlayBase panel is individually manufactured and inspected for quality. 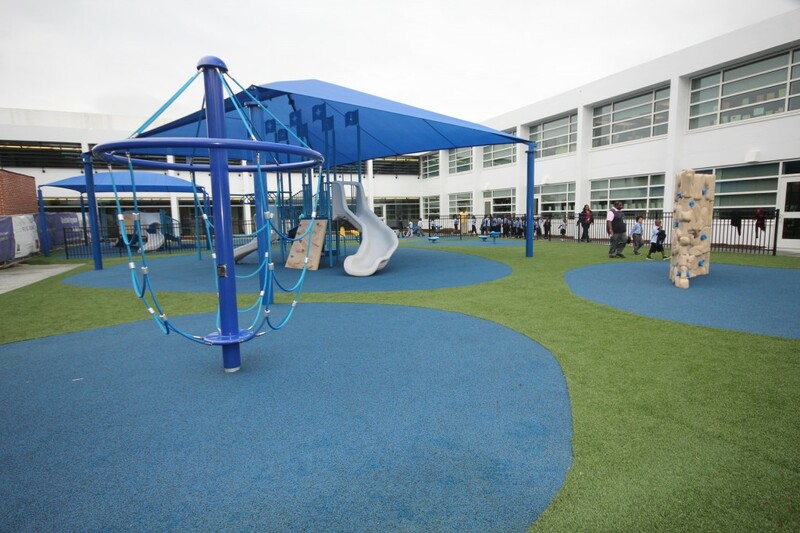 Each feature of the PlayBase panel optimizes function for predictable safety, drainage, stability and precise fit for playground surfacing. 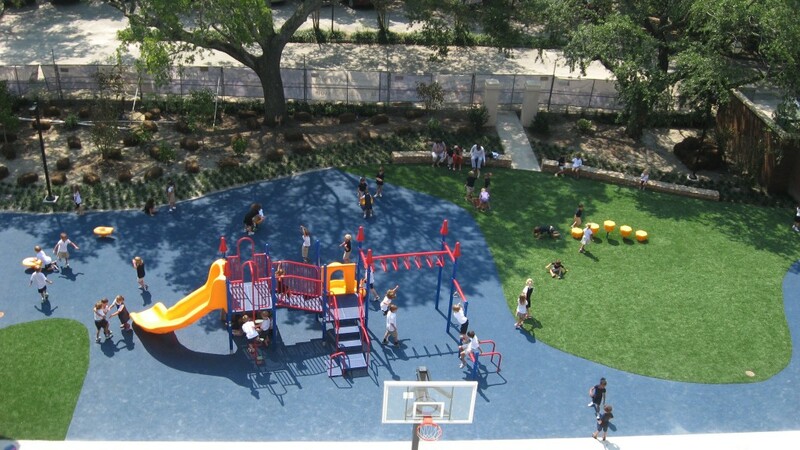 Brock’s patent design of impact-absorbing pistons on the bottom of each PlayBase panel, together with a unique overlapping joint system have been specifically engineered to provide optimal and consistent head injury criterion (H.I.C.) 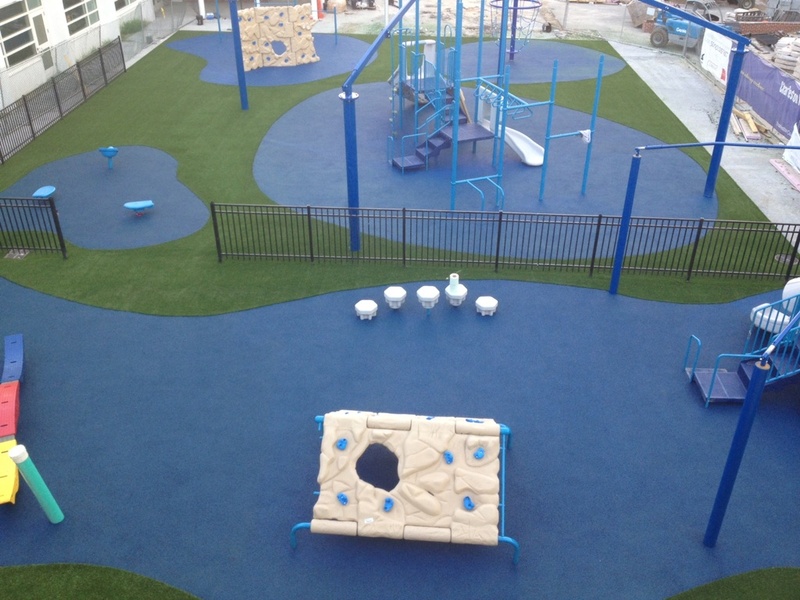 test results required for play surfacing. 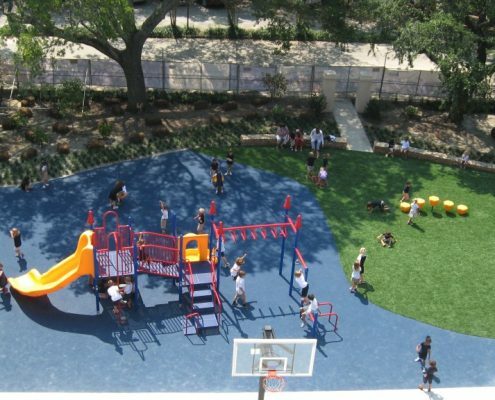 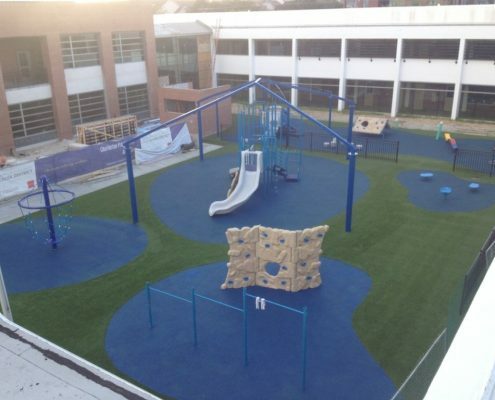 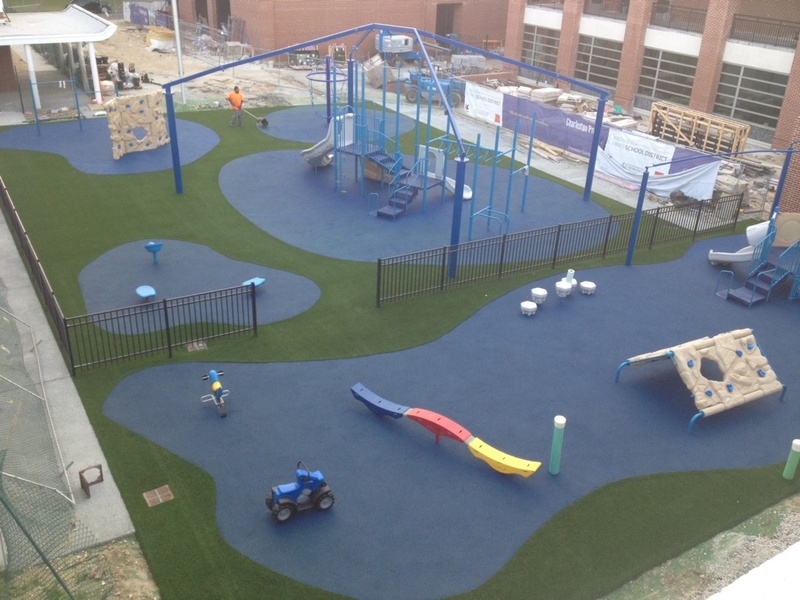 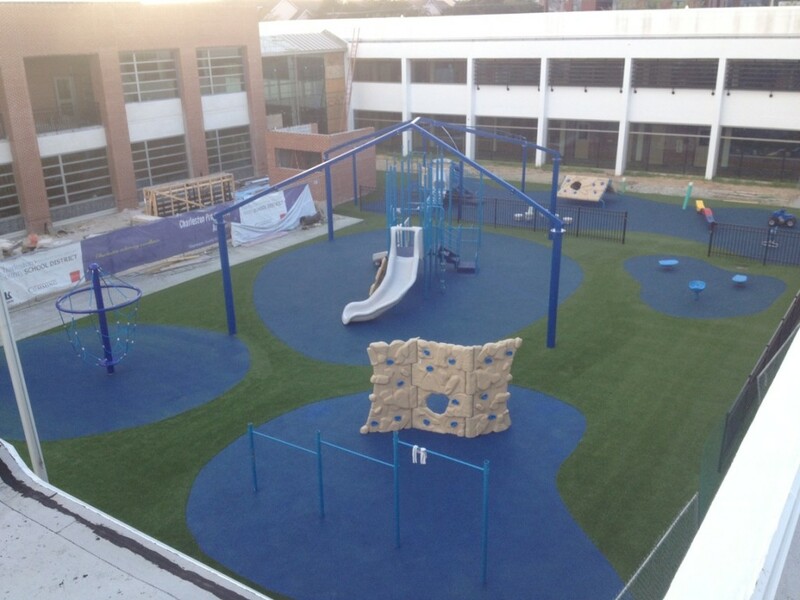 PlayBase is produced from 100% pure high-grade expanded polypropylene. 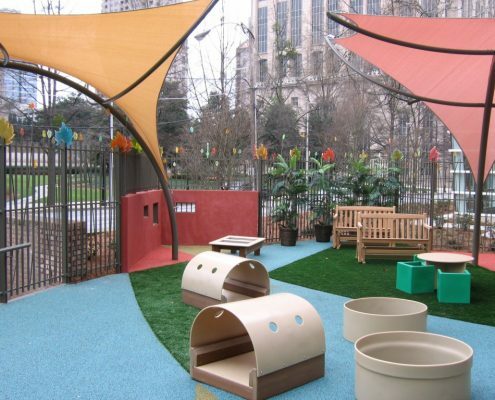 This non-toxic and highly durable material will not decay or degrade, is resistant to bacteria, fungi, and chemicals, is 100% recyclable and complies with the most stringent environmental standards.